The roof will play an important role in defining the appearance of your home and, of course, needs to be an effective shield against the elements. The type of covering you choose will be part of the overall design strategy, but may also need to reflect the environment around you. 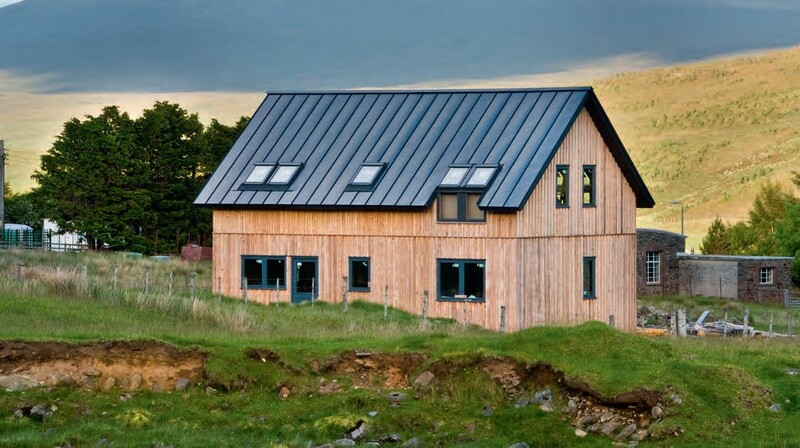 For example, your local authority could ask you to match the slate of neighbouring properties or stipulate a green roof so your house blends into an open rural landscape. The roof pitch and profile also needs to come into play. “The golden rule in roof design is not to force a material to do something it can’t technically do,” says Steven Harris from CRSH Architects. “For instance, slate can’t be laid at a low pitch. 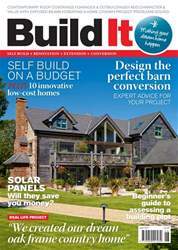 The June edition of Build It magazine is packed full of inspiration and advice for your self build, renovation or extension project - including: •	An amazing oak frame self build (page 20) •	Total makeover of a 1960s house (page 39) •	How to self build on a budget (page 64) •	Can solar hot water panels save you money? (page 71) •	Design details: exposed beams (page 74) •	Guide to designing the perfect barn conversion (page 90) •	Assessing a building plot's potential (page 100) … and more!